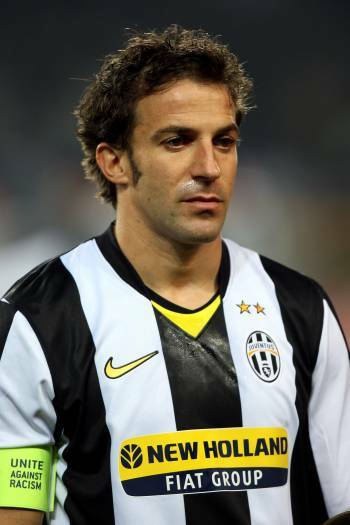 Dubai club Al-Ahli are trying to follow up their signing of Italy captain Fabio Cannavaro yesterday with a move for veteran Juventus striker Alessandro Del Piero. According to reports in La Gazzetta dello Sport, the UAE-based side will begin their attempt to reassemble the 2006 Italy World Cup winning side by offering Del Piero a three-year deal worth €2 million a season. The enticing offer is said to also include a luxury villa, a car, plane tickets back to Italy once a month to see his family and a €500,000 bonus for every 20 games the 35-year-old striker plays for the club. Next up on Al-Ahli’s list, 40-year-old ‘keeper Angelo Peruzzi.